Cloud gaming has become a bit of a dirty word these days. There have been plenty of people who have tried their hand at it over the years, promising high-end, lag-free gaming without the need for all that bulky, costly hardware, but most (*cough*Gaikai*cough*OnLive*cough*) have ended up on that age-old trash heap of crushed dreams and broken promises, their meagre uptake prompting them to disappear back into the ether almost as quickly as they appeared. This time, though, Nvidia might have finally cracked it, as the beta for their GeForce Now streaming service has finally arrived on PC in Europe and North America. It’s free, uses your very own game library and their respective cloud saves, and, whisper it, it’s actually pretty good. So rejoice all you laptop and creaking PC people whose rigs would probably faint at even the slightest suggestion of running something like Doom or Shadow of War at Ultra quality settings and 60fps. Your time in the gaming big leagues has arrived. So how does this GeForce Now malarkey actually work? One important point to make before we dive into the nitty-gritty is that this isn’t the same thing as GeForce Now on Nvidia’s own Shield tablet or their Shield TV streaming gizmo (helpful, I know). Those have a different library of games and completely separate pricing structure to the PC version, so cast whatever you currently know about GeForce Now to the wind. It’s no good here. Instead, GeForce Now for PC is all about turning low-end systems such as laptops, netbooks and ancient PCs into high-powered gaming rigs, letting you play games you already own at the shiniest, most extreme graphics settings possible without said laptop or PC collapsing into a wheezing, undignified mess. It’s not every game you own, mind. Right now, there are around 150 games that support GeForce Now (you’ll find a full list on the next page), but Nvidia says they’ll continue to add more at regular intervals. You’re also currently limited to games from Steam, UPlay and Battle.net. However, provided Nvidia’s previously announced partnerships with GOG and Origin haven’t fallen through since they were first unveiled in January 2016, then games from these platforms should also hopefully be making their way over either very soon or when GeForce Now launches properly once the beta’s over. There is, admittedly, a small loophole that lets you play Steam games that aren’t on Nvidia’s supported list, but to be honest, it’s a bit of a faff. 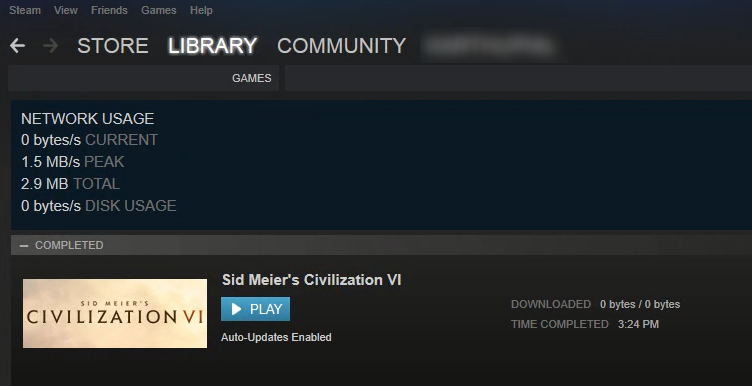 You not only need to install the game each time you want to play it through GeForce Now (which Nvidia says can take up to 30 minutes as opposed to a one-time ten second install like the rest of GeForce Now’s library), but you won’t be able to take advantage of things like cloud saves either – unless, that is, it already supports Steam’s Cloud Sync and you’ve got that enabled. Still, there’s a pretty good selection on offer in the main GeForce Now library, including favourites like Plunkbat, Fortnite and CS: GO, as well as newer, fancier things you might not have found time to play yet, such as Divinity: Original Sin 2, Destiny 2, Wolfenstein II: The New Colossus, SpellForce 3, Prey and Dishonored: Death of the Outsider. You can also buy supported games you don’t currently own within the GeForce Now app, as clicking on each game will take you straight to its relevant store page. It’s certainly a tempting prospect, both if you’ve never owned a proper gaming PC or have ever contemplated whether it’s worth going all in on and spending thousands of pounds on a full-blown gaming laptop – particularly when graphics card prices are still fluctuating faster than Steam’s best-seller list. If you bought the 4K-capable Nvidia GeForce GTX 1080 over Black Friday, for instance, you could have bagged one for around £480. Now, you’re looking at paying something closer to £650. No thank you. The GTX 1070 is even worse. This cost £350 in November. Now you’ll need to add another £200 to your budget. There are, of course, cheaper graphics cards available like the £140 GTX 1050Ti (our current 1080p gaming champion), but that still doesn’t help much if you’re often tied to a laptop or all-in-one PC, or simply don’t have the confidence or know-how to start tinkering about inside your current PC case. GeForce Now also takes a lot of the hassle out of owning and maintaining a gaming PC, as annoying things like updates and game drivers are all handled automatically at Nvidia’s end, meaning you’ll never have to wait for a new patch to install ever again. You also don’t have to worry about clogging up your hard drive or SSD with loads of game files either, as that’s all taken care of in the cloud. Each game installs in about ten seconds, taking up next to no space at all instead of tens of GBs, and there’s no limit on the number of games you can have installed either. GeForce Now games all support cloud saves, too, so your files won’t be locked inside Nvidia’s servers forever should you decide to leave or stop your subscription. That said, the big question that still hasn’t been answered is how much does all this actually cost? Well, the short answer is we don’t know yet. The PC beta is currently free for everyone who signs up (there’s currently a waiting list, so it may take a while before you get onto it), and will remain so until GeForce Now launches properly. Nvidia couldn’t give me any kind of timescale on when that might happen when I probed them about it, but they did say that the beta would continue for at least the next three months, so it might be a while before you find out for sure. Is it really as good as it all sounds, though? Well, much like any cloud gaming service, the quality of the service depends very much on your current web connection, as you’ll only be able to see all those Ultra-fied face pores and wafting hair locks if you’ve got big enough internet pipes. Anything less and those pristine textures will descend into a giant, smeary blob of pixelated Vaseline, a bit like when you’re trying to stream something on the telly and it hasn’t quite buffered yet. According to Nvidia, you need an internet connection with at least a 25Mbps download speed, but ideally you should have 50Mbps or more to get the best out of it. Nvidia also recommends you’re hardwired into your router via an Ethernet cable, or have a 5GHz one you can connect to wirelessly. You’ll also need to make sure the laptop or PC you’re using has at least Windows 7 or higher for your OS, a 3.1GHz Intel Core i3 processor or faster, 4GB of RAM and a GPU that supports DirectX 9 – i.e. : an Nvidia GeForce 600 or AMD Radeon HD 3000 series card or newer, or Intel HD Graphics 2000 or newer if you’re using a laptop. 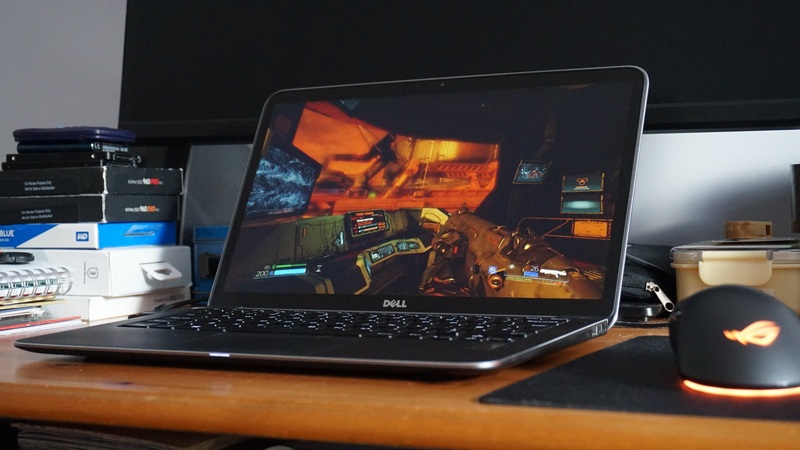 To put GeForce Now through its paces, I installed it on my 2013 Dell XPS 13 laptop, which has never enjoyed anything more than Intel’s integrated HD Graphics 4400 chip, and gave it a thorough going over at both 2.4GHz and 5GHz on my BT Smart Hub router. When connecting over 2.4GHz, I was warned about having poor signal and that I might experience stutter or latency issues, but on the whole, it wasn’t really the latency that was the problem. Instead, it was the bitrate – or rather that aforementioned Vaseline issue. Despite measuring a bitrate/download speed between 45-49Mbps, the overall sharpness of each game I tried tended to vary quite wildly – like everything had a dynamic resolution feature that would produce pixel-perfect textures one minute and descend into a blurred mess the next. Now this wasn’t the case all the time. Running GeForce Now on a Monday morning, for instance, was much more stable than using it on Friday evening (when a pop-up message warned me that the sheer number of people trying to use the service at that time might mean connection times were a bit slower than normal), and I also found the bitrate tended to be a bit hit and miss when my partner was playing something else downstairs in the living room. When it did drop, however, even if it was just for the briefest handful of seconds, I couldn’t help but feel disappointed – even though under ordinary circumstances my laptop would struggle to spit out a single frame at similar settings. This wasn’t much of a problem in games like Doom, Tacoma or Dishonored 2, as their broader colour palettes and stylised art direction aren’t so dependent on reproducing the absolute finest detail. 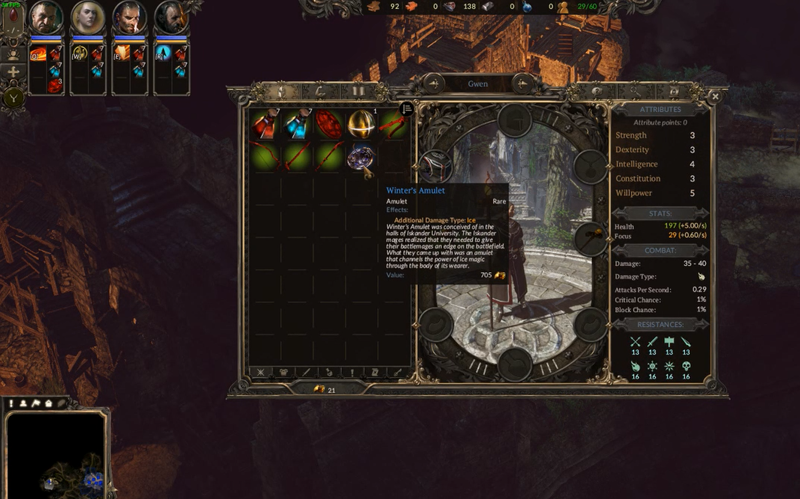 In something like SpellForce 3, however, even a small drop in bitrate can quite literally spell disaster, as there were times when its reams of text became almost illegible. That’s a problem when you’re managing lots of units and need the game’s detailed UI to help send them into battle or manage your town’s building resources, and in cases like these, a 2.4GHz connection just isn’t really enough to produce the seamless experience you’d want from a cloud gaming service. I also experienced the occasional latency issue in Doom. Again, most of the time it was absolutely fine. The frame rate never dropped below 60fps on Ultra/Nightmare settings at 1920×1080, but there were still a couple of times when it ground to a choppy, stuttery halt in big fight scenes, turning what should be fast, fluid shoot-outs into a disastrous slideshow. The latency and bitrate problems got a little better when I turned on the Ultra Streaming Mode option in the GeForce Now’s menu options, which is meant to adjust in-game settings to help minimise latency issues, but this was nothing compared to switching over to my router’s 5GHz network. At 5GHz, those bitrate issues completely disappeared, restoring my faith that I didn’t, in fact, just need to go to the opticians and get some new glasses. SpellForce 3 ran like a beaut, rendering all its glorious text in picture-perfect detail, and it even ironed out most of Doom’s latency issues as well. I still encountered one instance of some quite nasty lag during a particularly busy demon brawl, but it recovered in a couple of seconds and never happened again in a single mission. To all intents and purposes, it really did feel like I was playing on a proper gaming PC – not an ultraportable laptop that’s never seen the inside of a dedicated graphics card its entire life. That’s a pretty great feeling if I’m honest, and even those few seconds of lag over 5GHz weren’t enough to dim my overall view of GeForce Now. 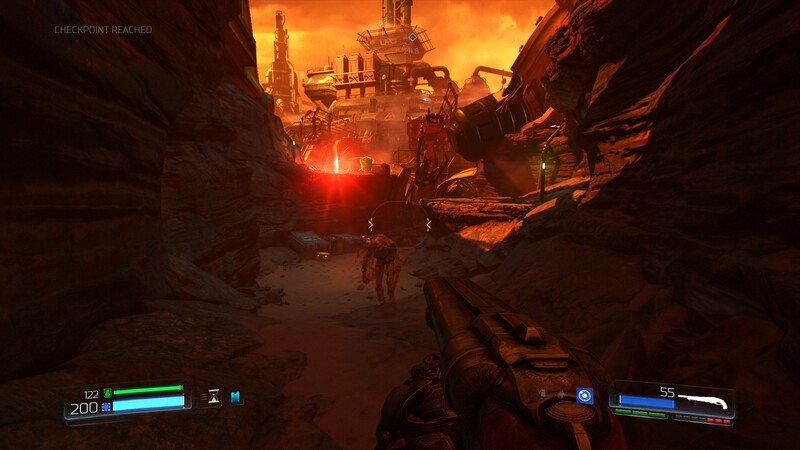 Even my own Nvidia GeForce GTX 970-equipped PC can’t run Doom without the odd frame rate plunge every now and again, and having the opportunity to play games like Dishonored 2, Okami HD, Destiny 2, Prey and Metal Gear Solid V on a laptop in any room in my house is about the closest I’m going to get to a PC version of the Nintendo Switch any time soon – which, let’s face it, is all anyone really wants in life. Steam Link comes close, admittedly, but that still requires you to sit down in front of a TV or monitor. GeForce Now, on the other hand, lets me fire up a game when I’m tucked up in bed. Of course, this may change once Nvidia tell us how much this is all going to cost – the nice thing about the Switch, of course, is that you don’t have a running monthly fee for the privilege of portable play. But provided GeForce Now doesn’t start costing silly money, I think this really could be a force for good in PC gaming spheres and give older devices a new lease of life. It would certainly make me think twice about the need to upgrade my four-year old laptop and, given current graphics card prices, it might even work out to be just as cost-effective in the long run. Look at it this way. A £650 graphics card would effectively cost £54-per-month over the course of the year, or £18-per-month over the course of three. Even if you don’t upgrade that graphics card for another five years (which works out at roughly £11-per-month), that might end up being roughly the same kind of money you’d spend on GeForce Now over the same time period – all without the hassle of game storage woes, install times, driver updates and constantly fiddling around with the graphics settings. Only time will tell, of course, but right now, I’m feeling optimistic. A lot will depend on the kind and number of games Nvidia adds to GeForce Now in the future, but as long as it keeps up with new releases and provides enough variety across all the major genres, it might finally be the thing to restore cloud gaming’s good name. It’s certainly worth checking out if you’ve got the right internet connection and can bag a spot on the beta, and here’s hoping it doesn’t cost an arm and a leg when it finally launches. For a full list of games currently supported by GeForce Now, head over to the next page. Tagged with beta, cloud gaming, GeForce Now, Hardware, Nvidia.